To save her childhood friend from a reptilian fate, Rana strikes a bargain with a slighted enchantress. Suddenly green and slimy, Rana must convince Kaleb to kiss her before sunrise or her metamorphosis becomes permanent. Exhibiting more froglike qualities with each passing hour, will Rana be too late to save herself or will she finally get her Prince? 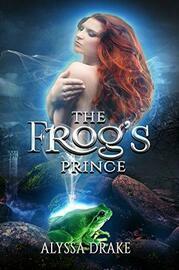 The Frog's Prince appeared in Fractured Fairytales: An Anthology (book 1). If you enjoyed this fairy tale, please consider picking up the entire twisted collection.